Buying a good helmet is extremely important, just as much as getting that powerful machine. Dirt bike helmets are strong, fit comfortably, are lightweight in contrast to their looks and carry that rugged design to make you even more confident. Plus, there is a new one popping up every few years with better modifications. Whether you are a dirt rider, moto-x or a street rider, these dirt bike helmets will work for you anywhere. I would still suggest you wear something that looks good on your particular motorcycle. There is an unlimited amount of choice available on the market today and some of these will leave you feeling empty pocketed as they are tagged above $500. 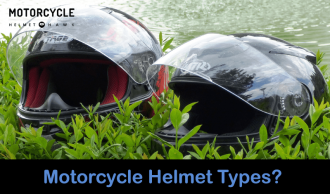 Here, we have listed some of the best dirt bike helmets that come at a reasonable price and feature all the needs of a normal rider. 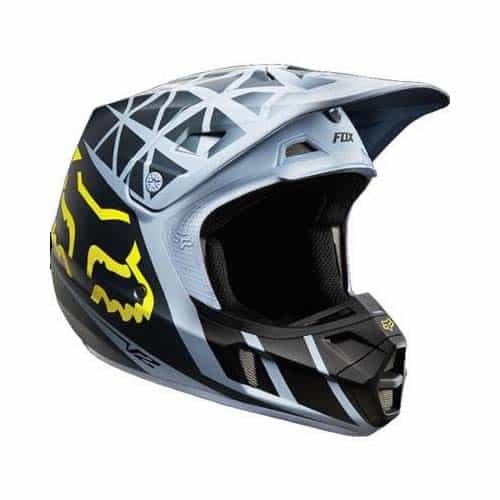 The Air Delta helmet from Troy Lee Designs comes with a unique and technologically advanced aerospace carbon composite shell construction. It’s got an aggressive look but is comfortable and luxurious too. The stylized nose guard provides extra protection and the airflow is also substantial with the hi-flow plastic mouth. The CoolMax comfort liner is removable, replaceable and washable. Also, the adjustable vortex visor allows for custom height placement. It is available in four different colors; orange, matte black/white, silver/blue and yellow. 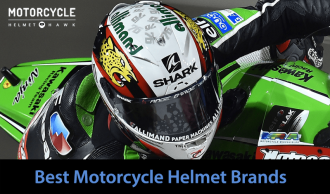 It is also available in four different sizes with the smallest costing less and the medium, large and X-large size helmets tagged at a higher price. 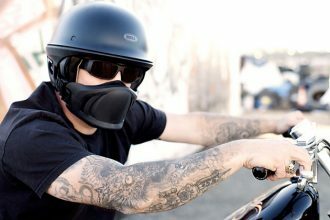 The in-molded ventilation system allows maximum air-flow which lets the riders keep a cool-head. The various size and color options make it a perfect fit for almost everyone. The safety and luxury has not been compromised for its design. Although it’s available in different sizes, riders might have a hard time figuring out their particular size. Despite looking good, if the size is too big or too narrow, the riding will not be comfortable and protection is not guaranteed in case of accidents. It’s a great helmet with well maintained air ventilation. The design is classy and it’s available in attractive colors. It meets SNELL M2010, U.S. DOT and ECE Standards. You can be assured of safety and comfort whether you are riding off-road or just taking your bike for a spin around town. 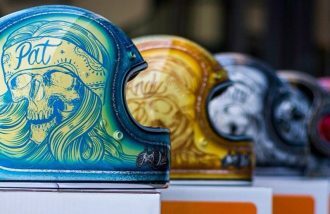 The competition has got too fierce with every helmet producing companies claiming their product to be best on the market. This one from Troy Lee Designs certainly stands out with its affordable price and top of the line technology. However, there are always other choices if this one doesn’t feel like you. 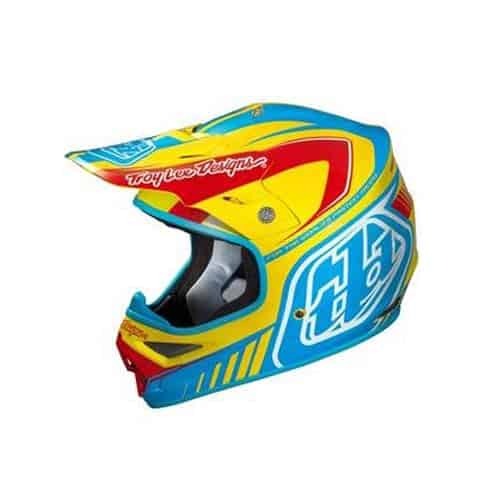 Fly Racing F2 Carbon Acetylene Adult Dirt Bike Motorcycle Helmet and Fox Racing Given Men’s V2 Dirt Bike Motorcycle Helmet are among the best helmets in the class. The helmet from Fly Racing has been built with light-weight aluminum hardware. 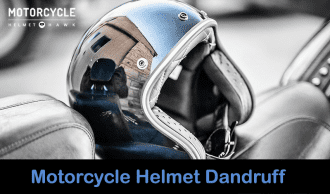 The composite construction outer shell has been constructed with Kevlar composite materials and aircraft grade woven carbon fiber which insures the superior strength of the helmet without adding much weight. The air-flow system and comfort liner has been maintained to maximize airflow. It also features custom molded nose guard for added protection. It is only available in medium sized orange/purple color. The ventilation system is top of the class with multi-port air induction cooling system, 11 intake and 4 exhaust vents. It also features anti-fog vents, tri-intake vents above goggle eye port to draw air and clear away the fog. The helmet is certified and meets the toughest safety standards in the market. It is only available in one size and one color which makes it fit for limited number of riders. Maximum number of vents is great for summer but might not be the best fit in case of extreme weather conditions, then again motorcycles are not for extreme weather conditions. Granted, the choice in terms of color and size is limited. However, if you don’t have any problem with that then you are going to love this piece of hardware. The safety features are amazing and so is the design. Considering that you have a suitable motorbike, this will be a great buy for you. The mx helmet from Fox racing is a 2014 model manufactured from light-weight materials which is designed for comfort as well as safety. It features fiberglass shell along with a dual density EPS liner. The multi-port air cooling induction system allows maximum air-flow as it comes with 10 intake and 4 exhaust vents. 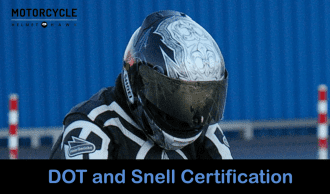 It meets the SNELL 2010 and DOT certifications. This tough looking Fox helmet is available in five different sizes and the prices vary accordingly. The medium, large and 2X-large versions are more expensive, whereas the X-small and Small versions will cost you a bit less. It is available in grey/yellow and red/white. 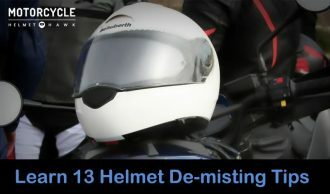 The composite fiberglass shell is strong and assures the safety of the rider. The insides are comfortable and will fit perfectly for riders of all sizes due to its availability in a variety of sizes. The number of intake and exhaust vents makes sure that the rider keeps his head cool. The amazing ventilation is great but it won’t be suitable in the cold weather or in rain as most part of your face is left open. 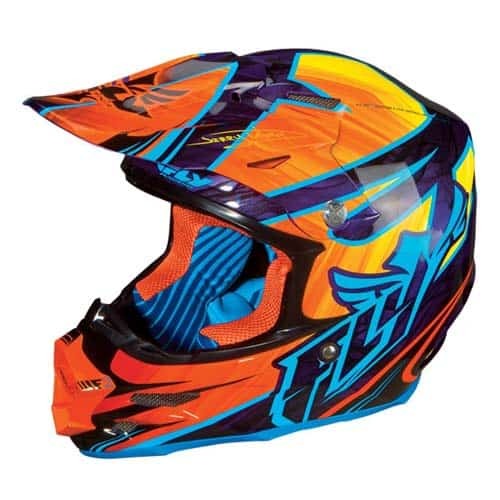 Fox Racing is one of the reputable brand names when it comes to manufacturing dirt-bike helmets. This one in particular has lived up to the Fox tag. Designed to set a new obtainable performance, the helmet is safe, great for off-road biking with comfort and carries a stylish design. It is a great buy at such a reasonable price that comes with size and color options. All three helmets are quite similar and the rider will not regret going for either one of them. However, one of them does stand out above the others with its much more comfortable look and the strong build. Also, the styling is top of the mark. Number one is Troy Lee Designs Air Delta Helmet. It’s got a classy design that is available in different colors and riders can choose their own size. The price is well justifiable with all its features and no-buyers will regret their decision. 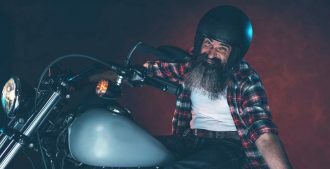 Helmets determine the longevity of your life along with your personality while riding a motorcycle. Make no compromises in terms of safety and comfort and what you want from a helmet in general. 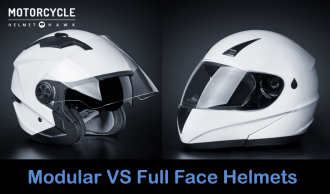 Half Helmets VS Full Face Helmets: Are You Willing to Compromise Safety for the Coolness Motorcycle Safety Feature – Are Half-Helmets Safe? 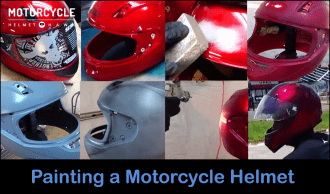 Learn: How To Correctly Fit A Motorcycle Helmet? 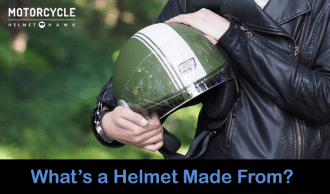 Safety Feature: Modular Verses Full Face Helmets – Are Modular Helmets Safe As Full Face Helmets?